No matter where you go in the world, politeness is appreciated. 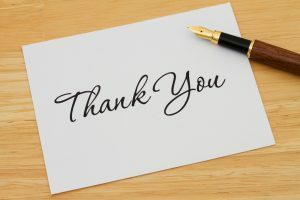 Something as simple as saying “thank you” can make a big difference in how you get treated. Not only will manners open doors for you, they will give people the impression that everyone is polite where you are from, which is not a bad thing. Speaking in the local language wherever you are usually makes people kinder to you. It doesn’t matter how bad your accent is. Just trying shows that you are truly interested in learning about the local culture. Below, I have listed how to say “thank you” in multiple languages. Use them when you travel and watch the local’s faces light up.